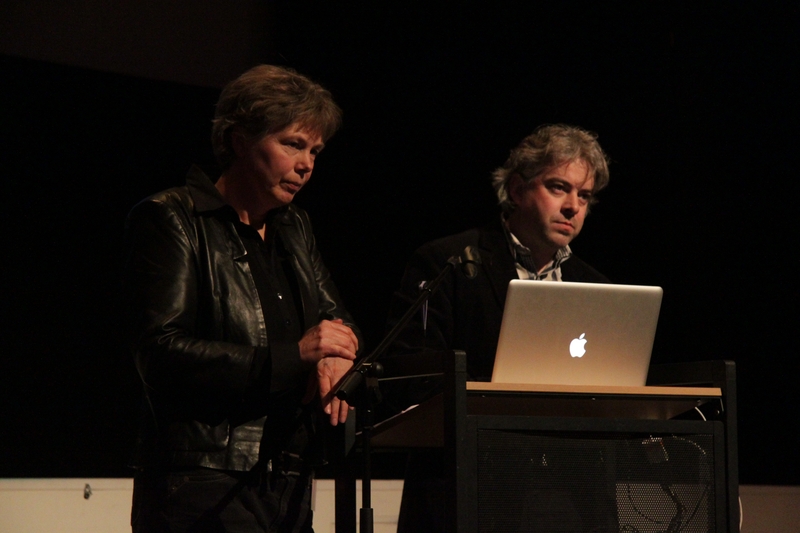 On February 15th, the Groningen Film Archive and the department of Arts, Culture and Media of the Faculty of Arts (University of Groningen) in close collaboration with EYE Film Institute Netherlands and several other partners hosted a symposium on the role of the film archive in current academic film education and research. It was a great opportunity for our research project to participate and present our plan to do ‘experimental media archaeology’ as a means to reconstruct (past) user practices of home movie making. The symposium, held on Friday 15th, specifically discussed the role of the archive as a ‘laboratory’ for future academic research and education. One of the most relevant issues discussed dealt with the role of film equipment as an object of conservation, restoration, preservation and (hands-on) research. Several prominent national and international speakers – both archivists and researchers from the field – further explored this central question along with their presentations. The morning session was opened with a paper by film & media historian Prof. dr. Ian Christie (Birkbeck University, London) on the possibilities and challenges of 4K projection as a new film exhibition format, followed up by an insightful presentation by Dr. Eef Masson (University of Amsterdam) on the role of the 16mm film projector in the class room during the post-war decades. Film historians Prof. dr. Frank Kessler (Utrecht University) and Dr. Sabine Lenk (film archivist and affiliated researcher at Utrecht University) discussed the consequences of digital projection for the archive and the future of the ‘dispositif’ of cinema after the “kinematic turn” (Gaudreault & Marion, 2012). 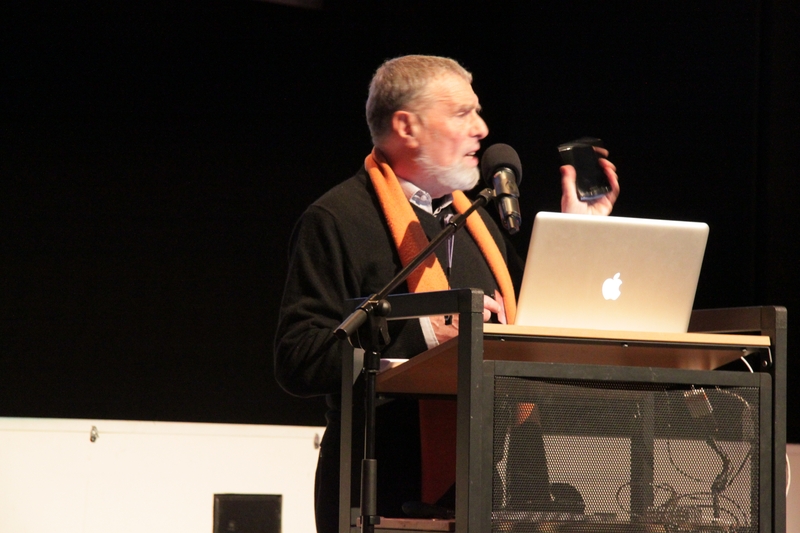 After lunch Prof. dr. Roger Odin, Emeritus Professor of Communication and former Head of the Institute of Film and Audiovisual Research at Paris III Sorbonne-Nouvelle, gave an inspiring presentation on mobile phones as tools for communication and self-archiving. Interestingly, he also briefly touched upon the actual problem that most audiovisual archives in Europe seem to neglect the cultural-historical value of footage recorded on video and digital technology devices. (In this light, the Netherlands is leading with the soon to be launched Amateurfilm Platform.) His approach was a nice bridge to the presentation of our project to address the challenge of reconstructing past user practices of home movie making and what role a film archive or media laboratory could offer in exploring such historical research questions. In a joint presentation Dr. Susan Aasman and Dr. Andreas Fickers emphasized the need for contextual information on both the social and technical dimension of home movie practices. For doing so, the film archive should not function only as a location for conservation and preservation, but also in addition as a place and space for ‘experimental media archaeology‘ . Rather than merely looking at technological objects, playing with them in a multi-sensorial way would enable future film and media scholars for a more fully understanding of the social and cultural implications of usage which have characterized past (amateur) film practices. 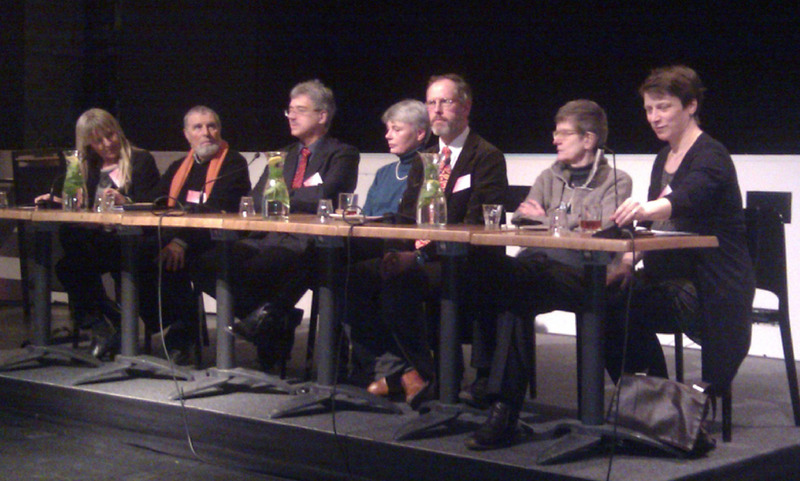 The symposium was ended with a Q&A-discussion with all speakers and also the archivists Eric de Kuyper and Emile Poppe, donators of the Groningen Film Archive. For more information about the Groningen Film Archive and the symposium, please see this website. The exhibition ‘Beyond the Analogue World’ can be visited during opening hours at the University Library Groningen, which is based on the third and fourth floor at Broerstraat 4, Groningen.